The biggest little art show features over 100 artists including past Got Craft vendors such as Kris Brownlee from a cagey bee, Chanda Stallman and Jackie Dives. Each artist is exhibiting work no larger than 4 x 4 inches in painting, sculpture, photography or other mediums. Think teeny tiny! 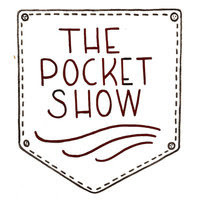 Runs until Saturday, September 18th, 2010 - 11:00 a.m. to 5:00 p.m.
For more information, visit the pocket show's facebook event page here.